We remind you that Argentineans are the biggest consumers of meat in the world, with 65,4kg per inhabitant per year (42 in the United States). An Argentinean is unlikely to let a visitor get near the barbecue: it is part of the sacred culinary art, the family Sunday asado or the asado for friends is the host’s responsibility to prepare it and share it, as well. We remind you that Argentineans are the biggest consumers of meat in the world, with 65,4kg per inhabitant per year (42 in the United States). First the material, starting with a good barbecue. Even in the city, it is not uncommon that a balcony or a terrace is equipped with a fixed barbecue sheltered from the open air. 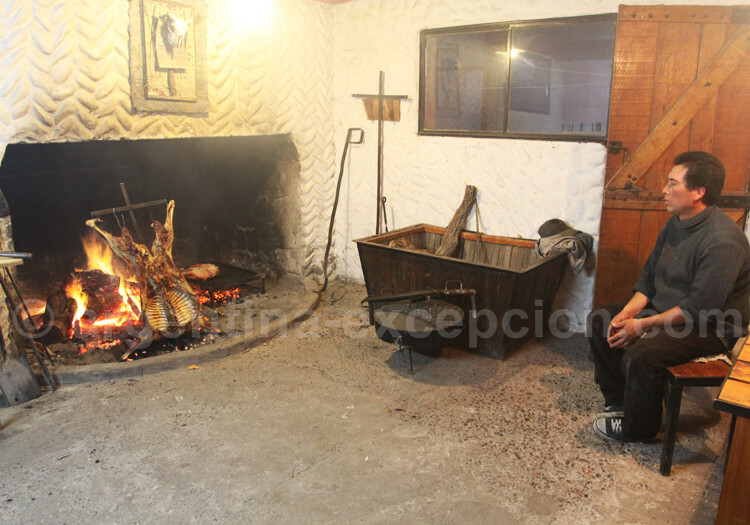 The bars are wide and strong to hold all the pieces of asado and are cleaned with a piece of fat. 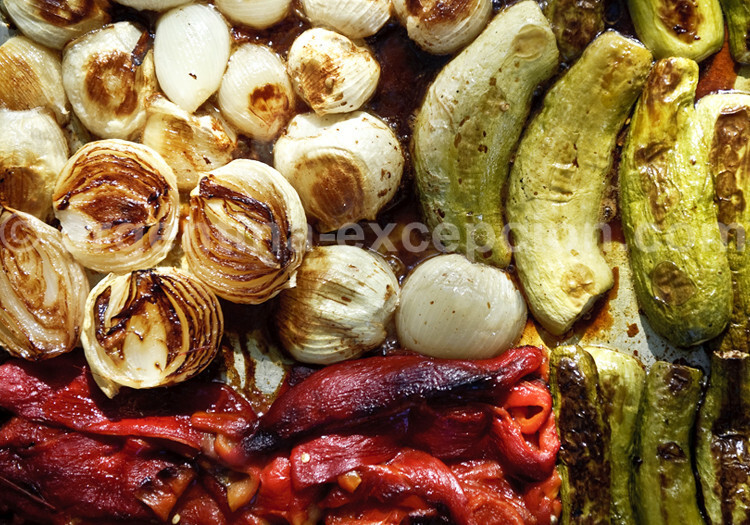 The first secret lies on the embers that will allow a slow cooking without drying or burning the meat. In general, the fire is prepared on one side to then; they will put the embers under the bars as long as they are needed. The orthodox ones only use wood (vineyard’s wine shoots from the wine regions) but the wood coal is widely used in the city. The embers are ready, now we go to the meat. Firstly, tira de asado, the cow’s ribs, this piece of meat will be cooked as slowly as possible; it can take one or two hours! You have to place it on the fattest side which enables a long cooking without getting burnt; the meat side is put on the bars only at the end. 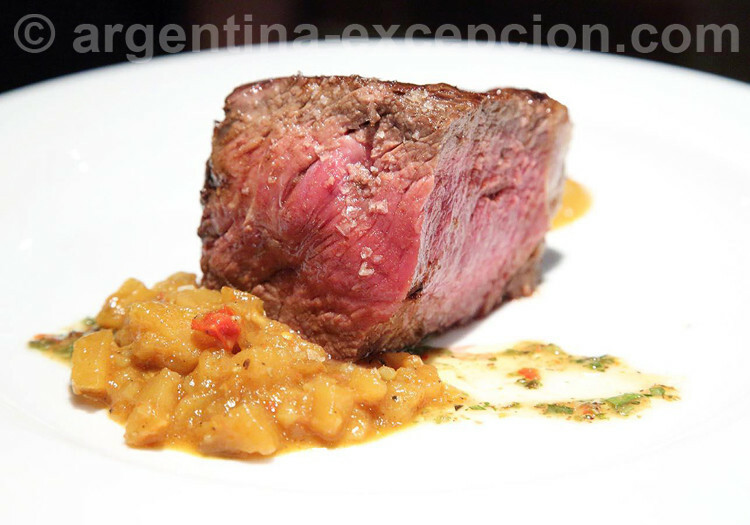 Then vacío comes, a very sought-after piece of meat in Argentina; it is fatty and tasty, and requires a slow cooking; and matambre is a sort of roll of meat stuffed with vegetables. All this after chorizo (pork sausage), morcilla (blood sausage) and achuras (offals) that will be served as starters. Sometimes you will find grilled provoleta, a round piece of provolone cheese. Variations: lemon chicken in halves, roast shoulder of lamb, pork. A good barbecue cook never leaves the barbecue unattended so that he can look after the asado and serve the pieces of meat according to the guests’ taste: rare (rarely for Argentineans), medium or well-done meat. A good barbecue cook always has a trustworthy butcher. 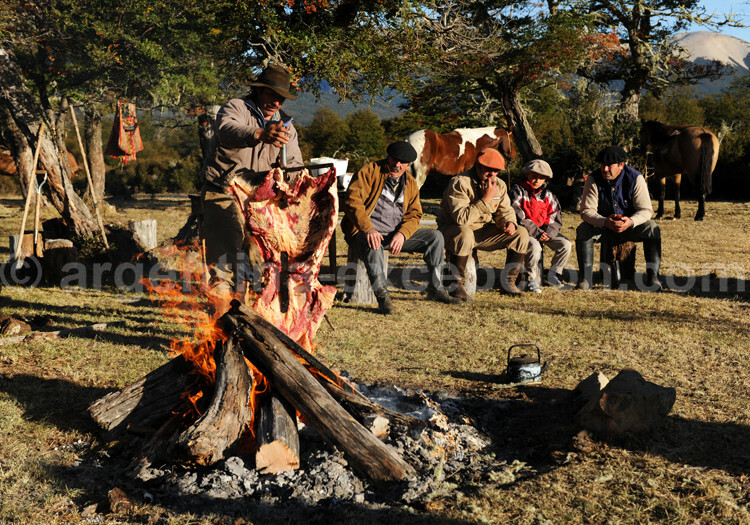 In Patagonia, the specialty is the lamb grilled on a vertical barbecue: an entire animal is placed in a cross form on bars vertically put over the fire. And to accompany all this? A good well-structured argentine wine such as malbec or cabernet-sauvignon. And a lettuce, tomato and onion salad. Good appetite and have a good nap!